LG and Sony planning to unveil smartwatches? Even though I was against smartwatches before, I am now starting to like them since my review of the Galaxy Gear. 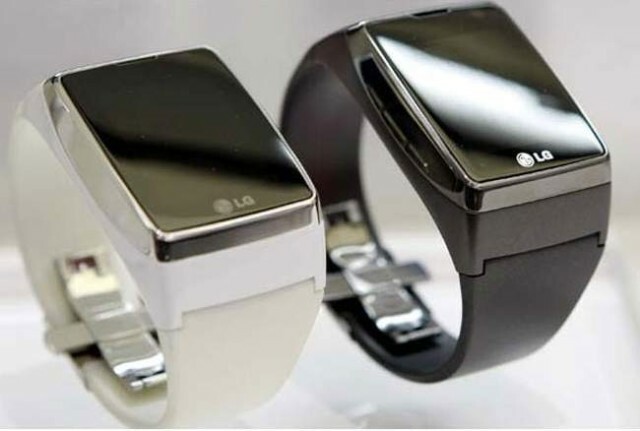 I have been hearing for a while that Apple is working on it own version of the smartwatch, and here is a another surprise, LG and Sony are apparently working on smartwatches as well. The one that LG is working on could be the G Arch, and it could be related to another rumored device from the company known as the G Health. The G Health is apparently one of those health bands, sort of the like Bodymedia type. I honestly don’t see why that can’t happen, as the Bodymedia and Fitbit seems like simple devices that would not be complicated were they put on a smartwatch. As for what Sony is putting out, there are rumors of the SWR10. It will probably have NFC and Bluetooth built right in, which I am not surprised to hear. As for the SmartWatch 2, what Sony has out now, it has a 1.6 inch screen with 220 x 176 pixel resolution display. If the rumors of these watches are true, then I imagine that I will probably see these at CES. If so, I’ll need to take some pictures.